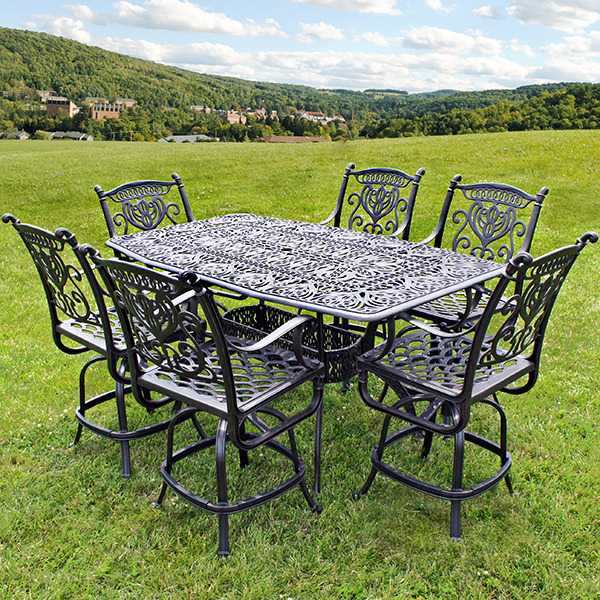 Get a better vantage point with this Grand Tuscany Bar Height Set by Hanamint. The Grand Tuscany style is one of Hanamint's most popular collections for both outdoor and indoor use. 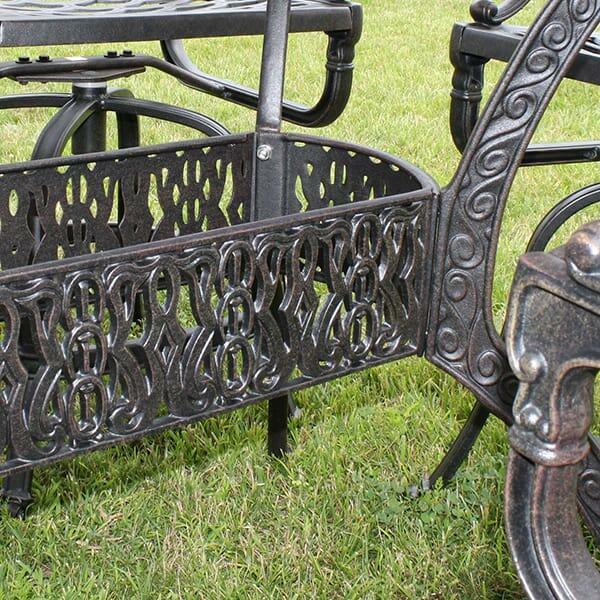 In this set, each piece comes in bar height. 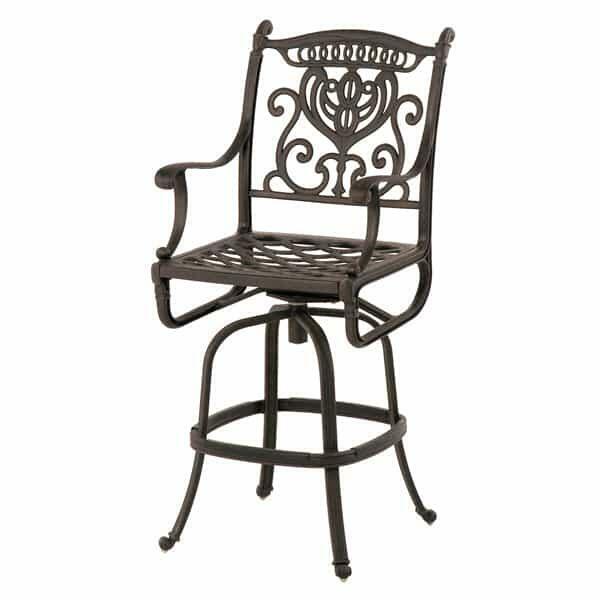 It is composed of 6 bar height chairs and one bar height table. The table features a traditional look with detail scrolls throughout its build. 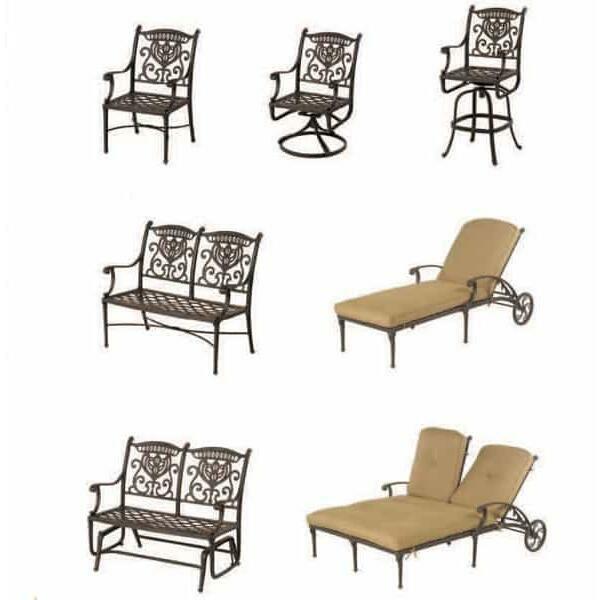 Each swivel chair has scrolled arm detail and can come with high-quality and all weather resistant Sunbrella outdoor fabric cushions. 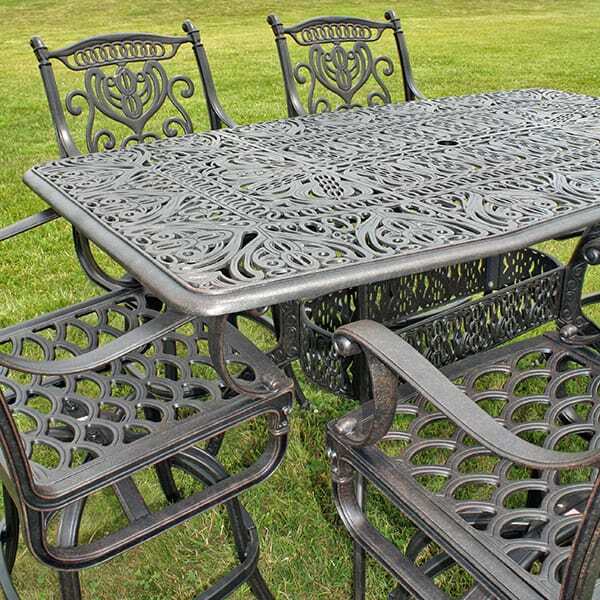 The entire collection is cast from durable-- all weather and accident resistant-- but lightweight aluminum. 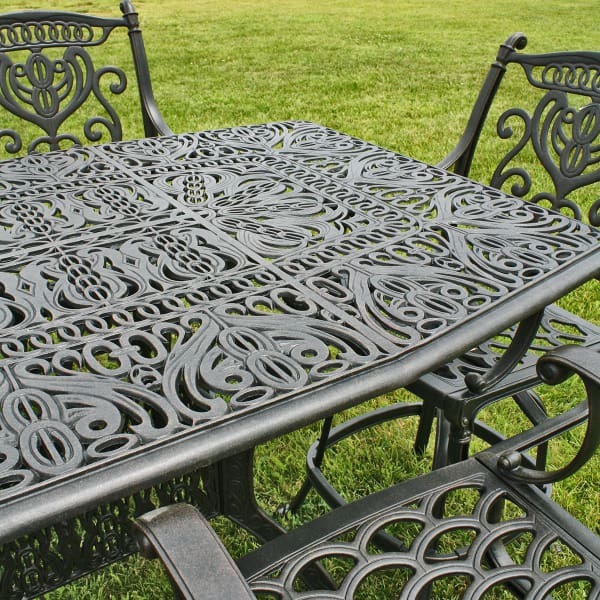 The factory finishes each piece with a powder coating process that keeps chairs and table in good condition year after year. Family Leisure offers a variety of pieces from this collection in different shapes in sizes-- mix and match for your perfect fit.